and they agreed that Team Neish, led by HND student Calum Mackinnon and mentored by Graham Neish, were the winners. The runners-up spot went to Team Multiply, led by Mark Phillips and mentored by Multiply's Charlie Boyle. 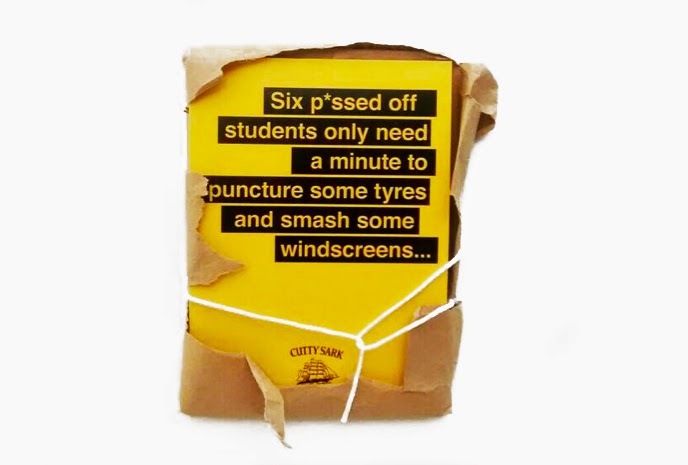 You can check out a sampler of all six team projects on our Pinterest boards, and the work will be on display in the college Hub until Friday, May 2nd. 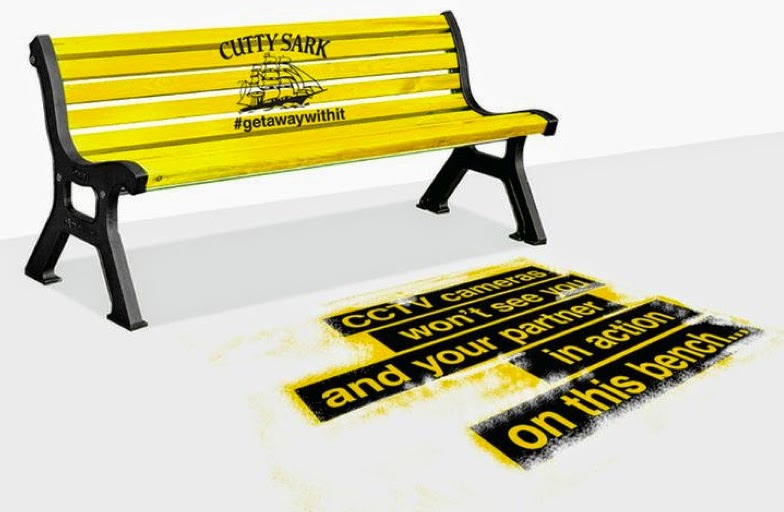 The winning team - Calum Mackinnon, Craig Nicholson, Emily Hubbard, Jakub Sobanski, Saulius Strebulis and Magda Milek, have all been offered a place at the Cutty Sark table at the Marketing Society Awards in June, and the students will also be the first recipients of a new year-long graduate membership of the Marketing Society. As an additional boost to the course, Cutty Sark have also offered to sponsor our end-of-year Industry Night and Show, which will be held on May 29th at Creative Exchange in Leith. 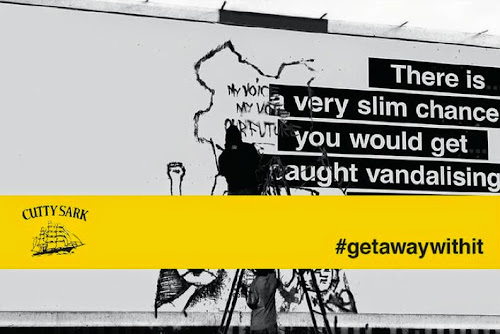 Cutty Sark were full of praise for the standard from all the teams, but felt that the #getawaywithit solution really stayed on brief and featured the most original approach. 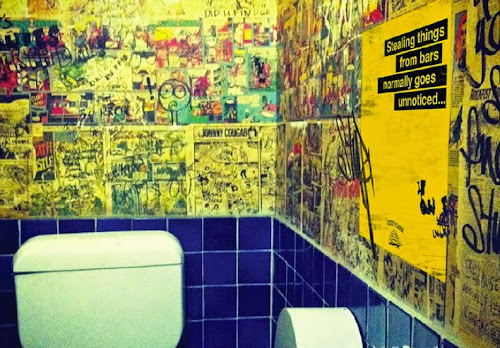 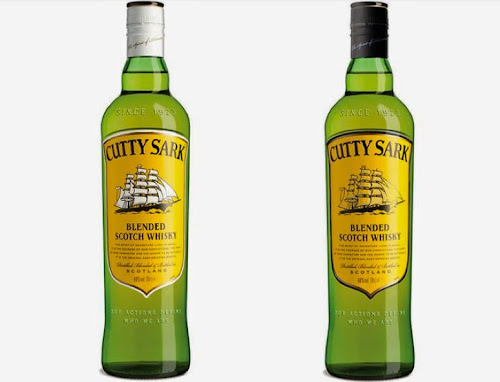 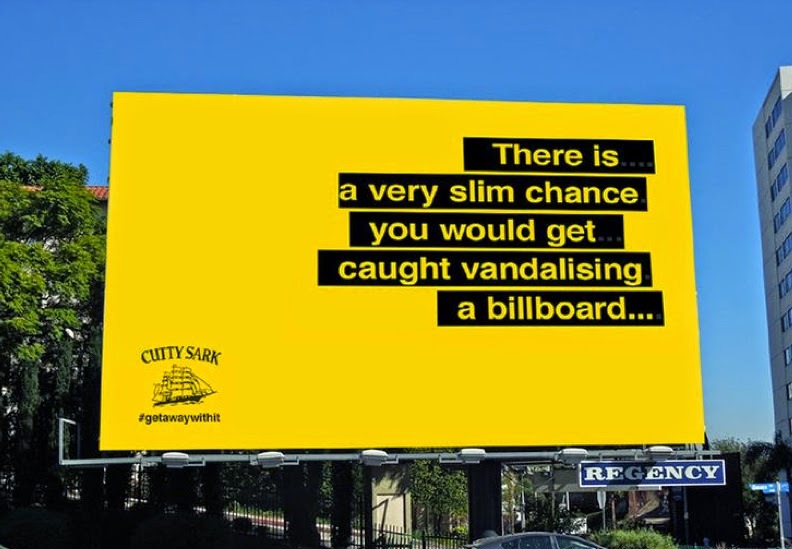 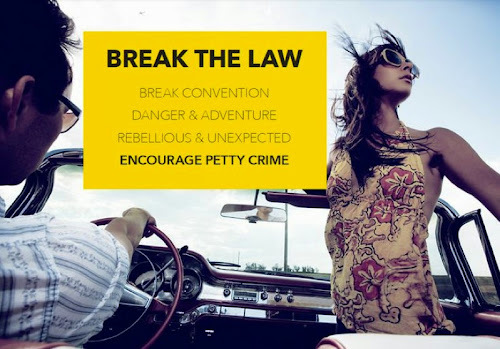 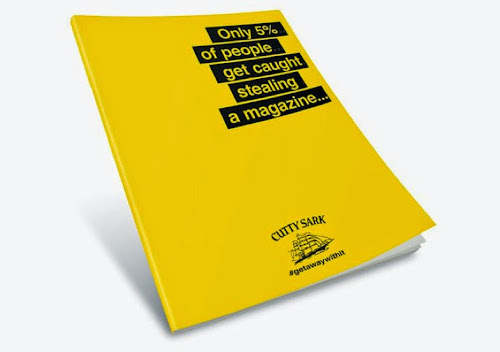 The copy-based campaign played on the rebellious nature of the target audience by associating the Cutty Sark brand with the ethos of breaking rules and conventions. 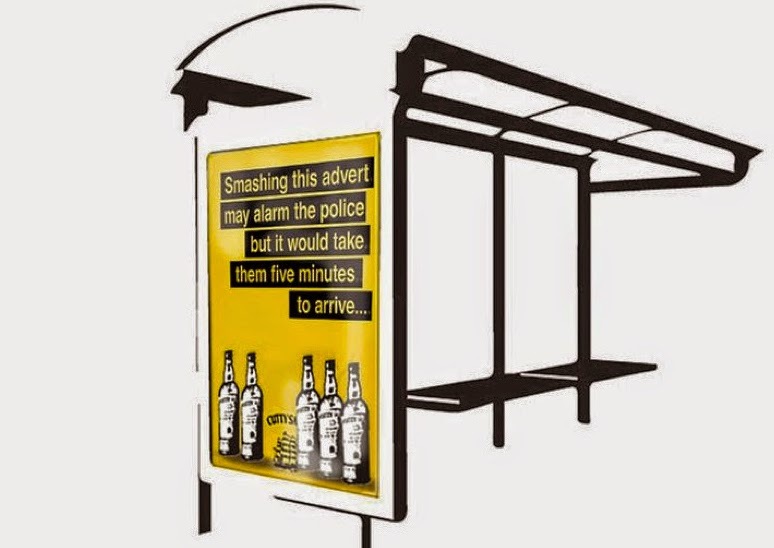 The idea also took into account the logical conclusion of the concept - that a real campaign would be banned by the ASA - and that this would raise the brand profile. 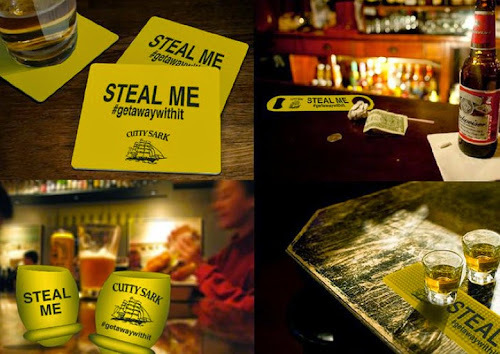 Jason said "Their pitch showed a strong understanding of the brief, the product and the target audience. The concept showed composure and maturity and led to danger, adventure, the unexpected, rebelliousness and basically the feeling of discomfort which was the main purpose of the brief – to push us towards areas we had not considered. 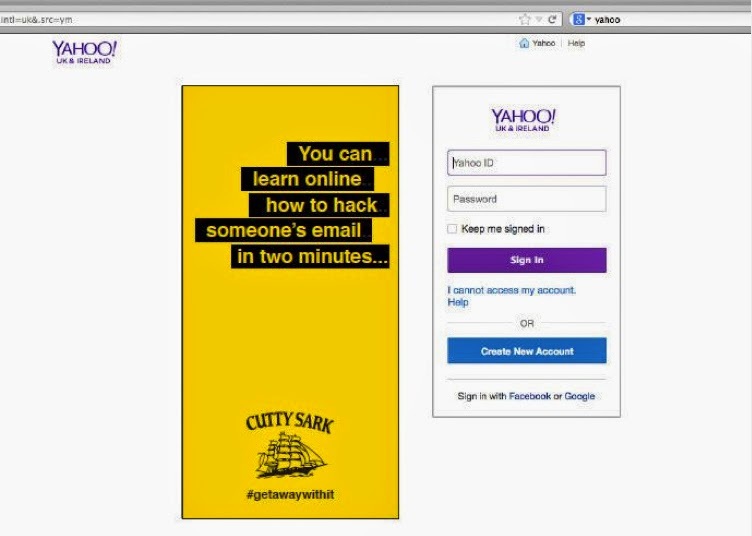 This team did it very well." He added that "The reality of breaking the law is not to be applauded or rewarded, but basically putting the idea into the consumers head was very clever. It does translate and it would be able to spread internationally, and taking it into filmed live situations to post on social media was clever and feasible and would feed itself into a Phase 2 campaign."